The CT-056 has an automatic inflation/deflation by micro-electronics pump system. It has 499 Record memory, fast view Year, month, day & time display. 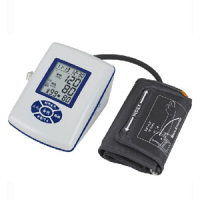 The Large LCD display is easy to read and it has an automatic shut off in 1 minute. A warning heart signal, [Pulse High(PH), Pulse Low(PL)]as well as the average value for last three records. One-touch operation , inbuilt semi-conductor sensor ensures accuracy. 90 sets of memories.Easy to read erect design. 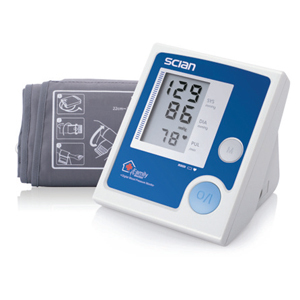 Average value for the latest 3 readings, Display of systolic pressure, diastolic pressure & pulse rate simultaneously, Automatic power off after 3 mins.